One of the greatest things about refreshing your core staples for spring is determining just how far you want to go. Whether you want to wade in by adding just a few fun colors or dive in headfirst with the brightest and boldest, the choice is yours—and we’re here to help. Here’s how to spring-i-fy your Monday to Sunday, starring the best pants and shorts for the job. Read on for 6 pieces that will take you from winter to spring in a cinch. You’re already comfortable in jeans, so introducing a colorful pair to your closet won’t feel that jarring. 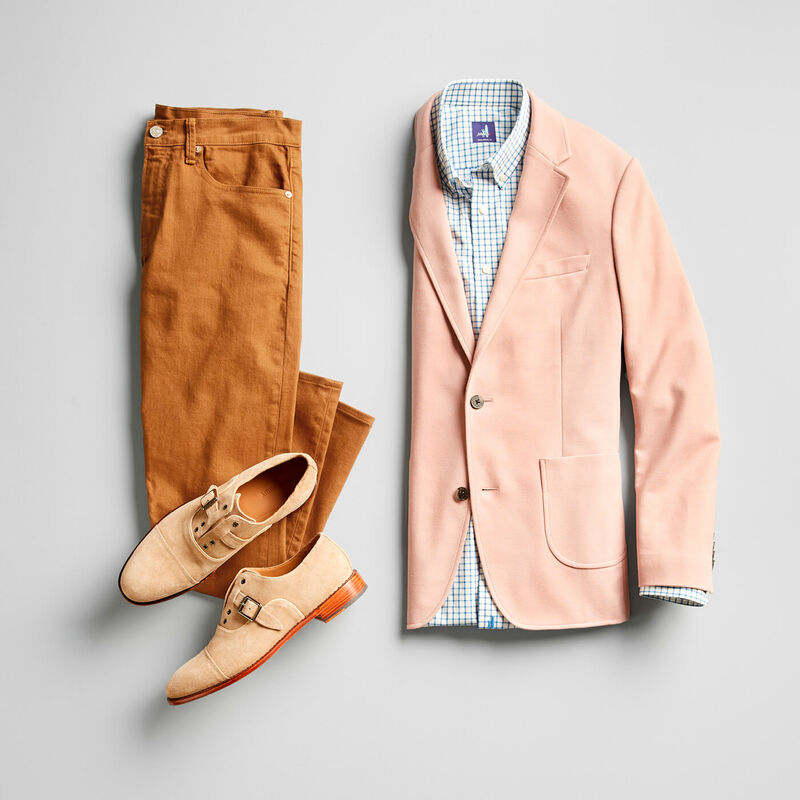 If you opt for something in neutral territory, such as brown, you can easily wear them with your everyday favorites, or go all in with shirts and jackets in complementary colors that stand out: pink, baby blue, yellow, pastel green. If you’re new to this, a good rule to follow is to choose one loud piece per outfit, and then pair it with quiet accessories. Sartorial savant? Go wild with the rainbow. You already like the five-pocket style and the go-with-everything wearability of denim, so just swap in a lighter wash for spring. A few tips to remember: You must nail the fit. Ill-fitting jeans (or any item, really) are a no in general, but a lighter wash will only highlight or exaggerate the wrong size. Lighter washes usually have more distressing, which looks great, but reads as casual, so follow that theme with your other pieces for weeknights and weekends. 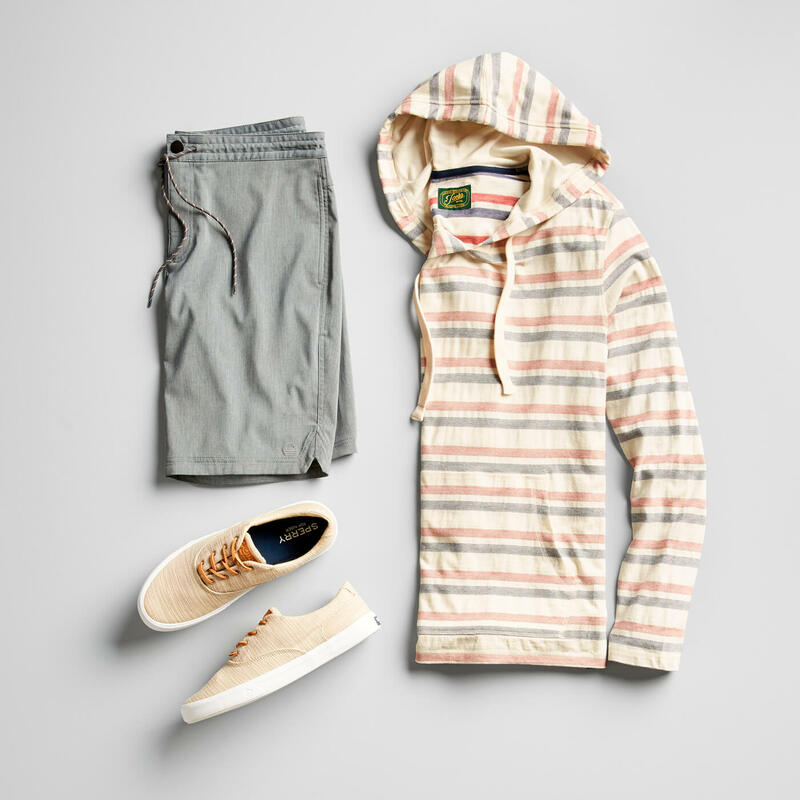 Chino shorts in washed-out shades are the epitome of spring style. The colors alone signify comfort with a lived-in look while the classic cut keeps the vibe classy. Go for a length you feel good about that goes no lower than your knee cap, and make sure the fit is precise in the waist and leg. After you choose a color that works with the rest of your closet (or just ask us! ), try an interesting print up top for fun. As the days get longer, you get more active. Own your golf to drinks-with-the guys look with pants that move as much as you do. A little stretch and a lot of style should be par for the course, and you will make it happen with the right players. 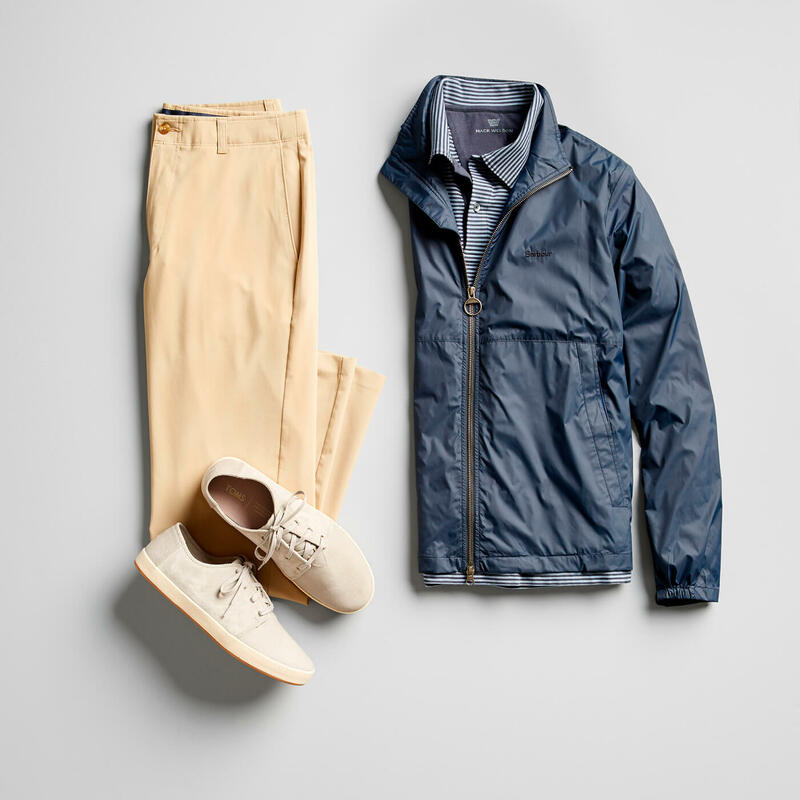 Start with khakis that are more sporty than dressy with stretch, wrinkle resistance and moisture-wicking technology, then add A+ pieces to complete your look—a smart polo and an outdoorsy jacket will look just as good as a hole in one feels. Same lived-in look and soft hues as its counterpart (see shorts above), but better suited for work, dates, weddings and other dressier occasions. 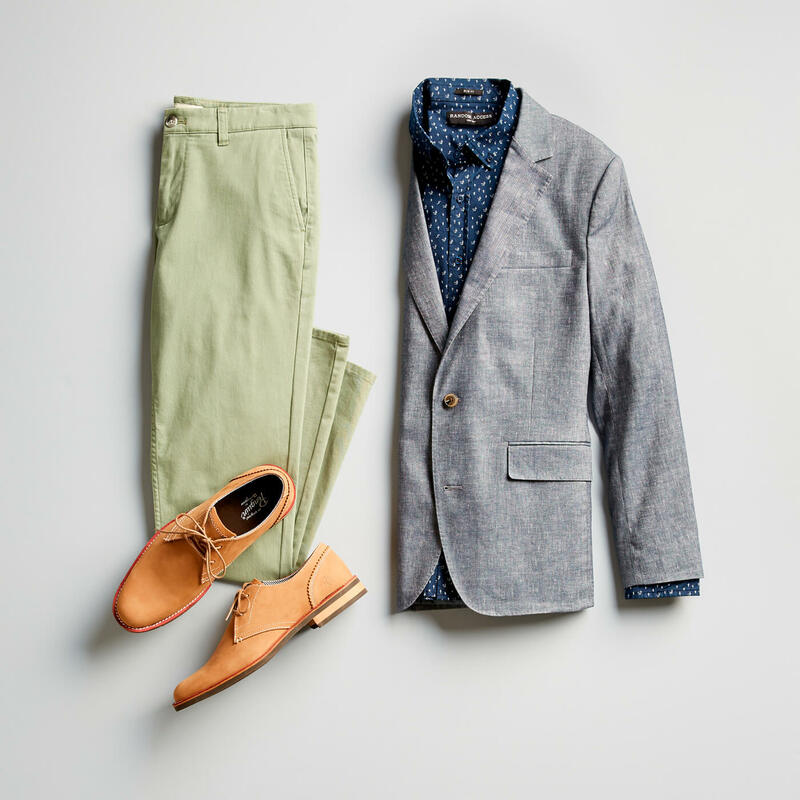 To ease out of your winter hues, pick colors that fall within the same family as what you’re used to wearing: greens, blues, browns—but the lighter, softer spring-ready variations. 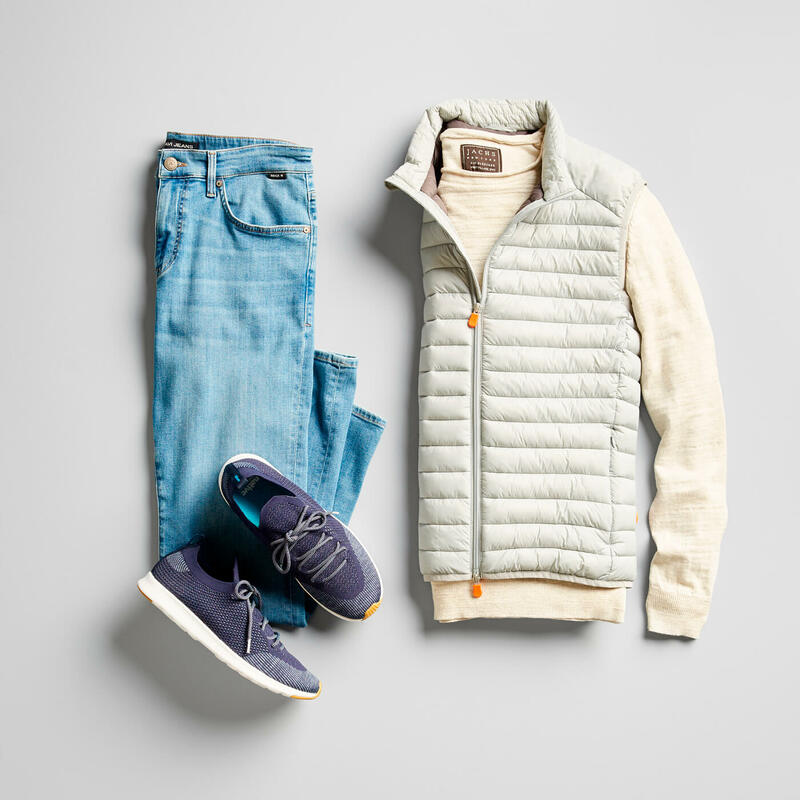 Follow the same rules here (and with every piece in this list): Get the fit right, mix in your favorite staples and when you’re feeling advanced, level up and out of your comfort zone. This spring-summer staple has evolved in looks, materials and colors. 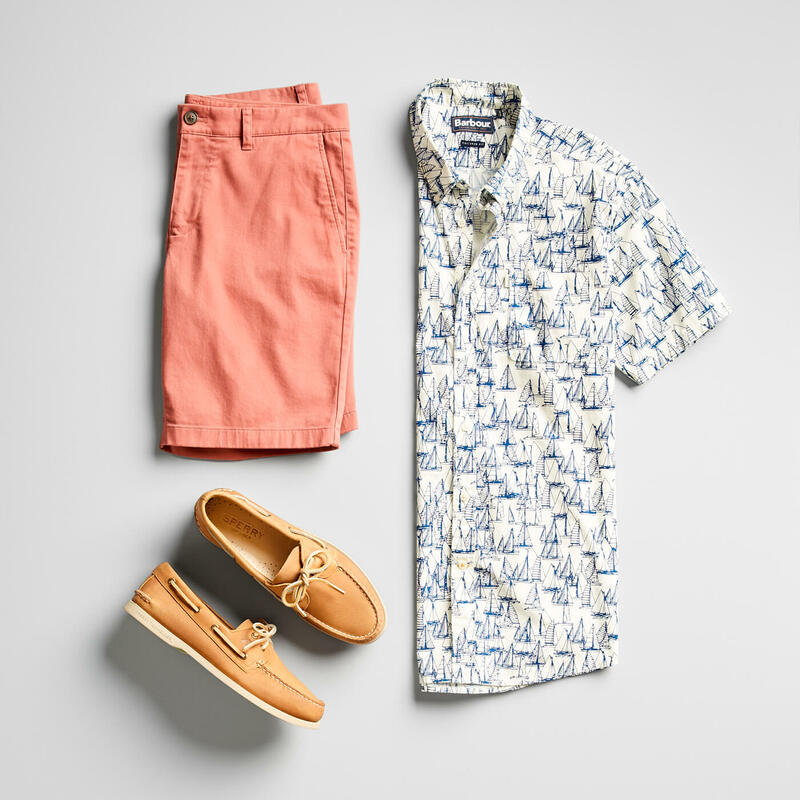 Choose shorts that look refined but have a drawstring waistband for comfort, or flat-front chinos with performance stretch (for those impromptu frisbee games at the beach). Roll up a pair for tropical trips and weekend getaways, or just wear them around town to channel that “I’m on vacation” look and the attitude to go along with it. Now that you’ve seen this run of spring pants, tell your Stylist what you like to get your closet in tip-top shape for the season.